Rabbi Pesach Lerner, National Council of Young Israel's Exec VP, and personal rabbi to prisoner of Zion, Jonathan Pollard, presents a comprehensive, Judaic overview of who Jonathan Pollard is; the circumstances of his actions to protect Israel - and the new evidence which contradicts the grounds for his life-sentence; Pollard's situation as a virtual death-row prisoner; and what significance does the current groundswell of Jewish activism to get Pres. Obama to commute Pollard's sentence (and Obama's ultimate decision) have on Jewish voters' support for Obama. "The new campaign calling for the release of Israeli agent Jonathan Pollard from prison in the US is in many ways a curious development. Pollard was arrested in 1985 and convicted on one count of transferring classified information to Israel during his service in US Naval Intelligence. He pleaded guilty to the charge in the framework of a plea bargain in which the US attorney pledged not to request a life sentence. Despite this, Pollard was sentenced to life. So far, he has served 25 years, much of it in solitary confinement and in maximum security prisons. His health is poor. He has repeatedly expressed remorse for his crime. Pollard's sentence and the treatment he has received are grossly disproportionate to the sentences and treatment meted out to agents of other friendly foreign governments caught stealing classified information in the US. Their average sentence is seven years in prison. They tend to serve their sentences in minimum or medium security prisons and are routinely released after four years. The only offenders who have received similar sentences are Soviet spies Robert Hanssen and Aldrich Ames. While Pollard transferred documents to Israel over a period of 18 months, both Ames and Hanssen served the Soviets - the US's primary enemy - for decades. Their espionage led to the death of multiple US agents operating behind the Iron Curtain. 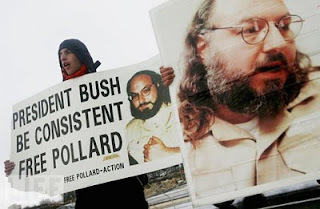 Pollard was given a life sentence because then secretary of defense Caspar Weinberger wrote a classified victim impact assessment to the sentencing judge in which he insinuated that he had transferred information to the Soviet Union as well as to Israel. Weinberger reportedly attributed the deaths of US agents to Pollard's activities. Weinberger's accusations were proven false with the subsequent arrests of Hanssen and Ames. As it turned out, the damage Weinberger ascribed to Pollard was actually caused by their espionage. OVER THE past five years, and with increased urgency over the past several months, several former senior US officials who had in depth knowledge of Pollard's activities have called for his immediate release. 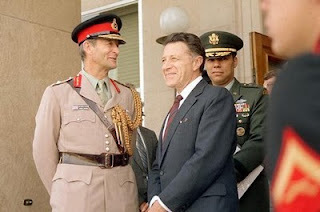 Former CIA director R. James Woolsey has stated that, contrary to Weinberger's allegations, none of the documents Pollard stole were transferred to the Soviets or any other country. A few months ago, former senator Dennis DeConcini, a past chairman of the Senate Select Intelligence Committee, sent a letter to President Barack Obama asking him to immediately release Pollard from prison. And in October, Lawrence Korb, who served as assistant secretary of defense under Weinberger, became one of the most outspoken champions for Pollard's release. Korb currently works for the Center for American Progress, which is closely allied with the Obama White House. On the face of things, it seems that this is a particularly inauspicious time to renew the campaign to release Pollard. This is true first of all because of the nature of the current president who is the only one with the power to release him. 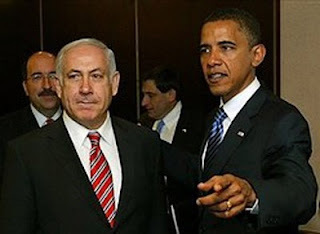 By now there is little question that Obama is the most hostile US leader Israel has faced. It is hard to imagine the circumstances in which he would agree to do something for Israel that his vastly more sympathetic predecessors George W. Bush and Bill Clinton refused to do. The fact is that Obama has no interest in freeing a suffering Israeli agent who was railroaded by Weinberger and remains in prison due to the efforts of Israelhaters who wrongly insist he did untold damage to US national security. Indeed, many of Pollard's detractors are members of Obama's political camp. Israel can't expect a lot of help on this from American Jews, although they stand to be major secondary beneficiaries if Pollard is released. The impact of his case on the US Jewish community has been debilitating. 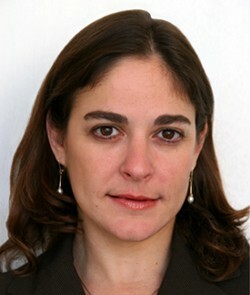 Although the US and Israel are strategic allies which share many of the same interests and fight the same enemies, Israel's detractors in the US foreign policy community use the Pollard case as an excuse for questioning the loyalty and patriotism of American Jews who serve in the US government and support Israel. His continued incarceration casts a long shadow over American Jewry. The odds are poor that a public campaign to win Pollard's release will succeed. (But) Israel must act. Pollard's unfair, unjustified and discriminatory sentence and treatment are a dismal symbol of Jewish vulnerability. His personal suffering is inhumane, real and unrelenting. He needs us to stand up for him. And so we must. And so we will. The time has come, against all odds to shout that Pollard must be freed. Now." The Pollard case has created risk for the American Jewish community. I think she is correct to believe that the Pollard case could be used to drive a wedge between US Jews and Israel, especially when most in the American Jewish establishment lean Left. Leaning Left already, with a Left-leaning President they can finally love, this influential and powerful group could see Pollard as nothing more than all the proof they need to support Obama and not Israel. After all, this group is politically sophisticated. For the first time in decades, they have a President they can support. Why should they put any barrier between themselves and the President they want so much to help? They understand the subtleties of power, which means that, so long as Pollard is imprisoned, with his shame and treachery indelibly before them every year, they are reminded constantly how ‘treachery’ and ‘Israel’ can go together. A modern, powerful Jew does not need to be slapped in the face to be told which side his bread is buttered on, especially with a President who seems to share their Left-leaning beliefs. Pollard’s imprisonment does that already. If, as expected, Pres. Obama continues to say no, then a properly-run public campaign might make a major impact on American Jews. Do the Jews who champion The Innocence Project, formed to save citizens from unjust arrest and prison sentences, believe that discredited evidence can be used to give an unjust sentence in our case alone? Jews in the American Jewish power establishment have been known to use the phrases, ‘Tikun Olam’ and ‘Social Justice’ in the same paragraph or speech. 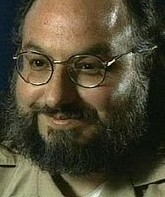 If the facts surrounding the Pollard case have in fact changed sufficiently so that one can argue that he, too, has become a legitimate focus for their Tikun Olam efforts, then an opportunity opens: convince American Jews, especially the secular Jews who champion the Innocence Project, that Pollard’s case, in at least one sense—bad evidence—is the same as the prisoners they wish to free, then, I believe, you may also convince them to question Obama’s stubbornness in this case. Once those questions begin, others can follow, until Obama is revealed for what he is, an enemy of Israel. If Pollard’s current and continuing imprisonment could be used by others to drive a wedge between US Jews and Israel, can a campaign to free him be used to drive a wedge between these same US Jews and Obama? I think that such a case can be made. Perhaps Mr Pollard’s horrible imprisonment can create, in the end, both something for himself—and bigger than himself." Both A Time to Shout and Tuvia's postulate are worthwhile reading in full. Israeli journalist Ben Caspit demanded that Prime Minister Binyamin Netanyahu formally request that Obama communte Pollard's sentence and release him from prison. JooTube and DemoCast provide you a totally independent perspective on affairs affecting you and your world. To continue independent filming and publishing operations, please support us. If you feel that you have derived benefit from JooTube and DemoCast, help continue this initiative by making a donation of any amount. Thank you for your support.